Special Offer! 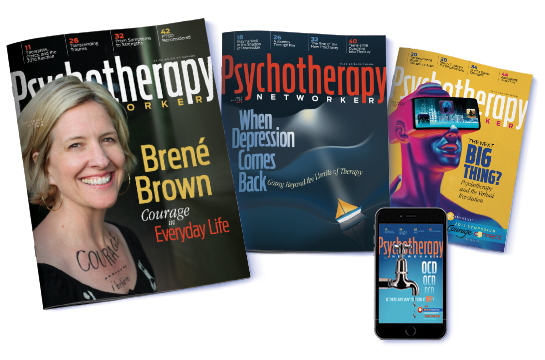 Add a subscription to Psychotherapy Networker magazine, the most widely read publication in our field for over 40 years. (Reg. Price $36) Only $12.99! Your satisfaction is our goal and guarantee: If you are not satisfied, please contact customer service at 1-800-844-8260 so we can make it right.